In response to the news that the City of Calgary will be considering a pet sale ban in the fall (hooray!) and that Mississauga, Ontario is poised to become the third Canadian city with a pet sale ban, the National Post printed the article Cities barking up wrong tree with pet sale ban, critics say. The criticism the headline alludes to – that retail pet sales should not be a municipal concern – has already been addressed many times over the course of discussion on this topic, which apparently had been missed by the Post: here, from when Richmond, B.C., instated their ban; and here, readily available on the Actions Speak Louder (Calgary) website. Therefore, I am not going to revisit that issue at this time. This figure is about right, because I went into that mall Petland location, which sells dogs from “Petland Certified Breeders” (whatever that means), this week and counted over 15 puppies on display. 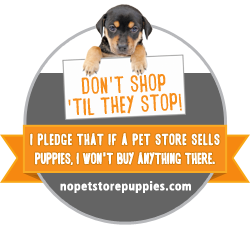 Back when I went on my fact-finding field trip to Petland, staff there informed me a puppy is in the store for an average of about 10 days before it is sold – same day as arrival sales are not unheard of, but 10 days is the average. So, if the average stock of that one store is 20 dogs, there for 10 days, I think it is reasonable to conclude that store sells approximately 60 puppies per month. That would result in an estimate of 720 per year. And I can’t tell you otherwise, since a lack of transparency on Petland’s part doesn’t only mean no breeder or inspection information. So I’m going to move forward on the information I have and welcome any clarifications. In addition, unlike rescue organizations, where the pets you adopt are spayed/neutered prior to them going home with you, pet store puppies usually come intact, with only a $50 incentive to get them fixed down the road (noting the costs of spaying/neutering in this city are ridiculously high, though the City does have its No-Cost Spay/Neuter Program to assist low income residents). The risks of 720 (which are some sort of unregistered purebred “type”) unfixed puppies entering Calgary’s pet community are obvious, but here’s an illustration of what two can do. Suffice it to say that backyard breeders and so-called “oopsie” litters are a major contributor to pet overpopulation and the hundreds of ads you see on Kijiji. And if these people are getting their breeding animals from stores, the stores are not helping combat this problem. There is also another way to look at this number 20. 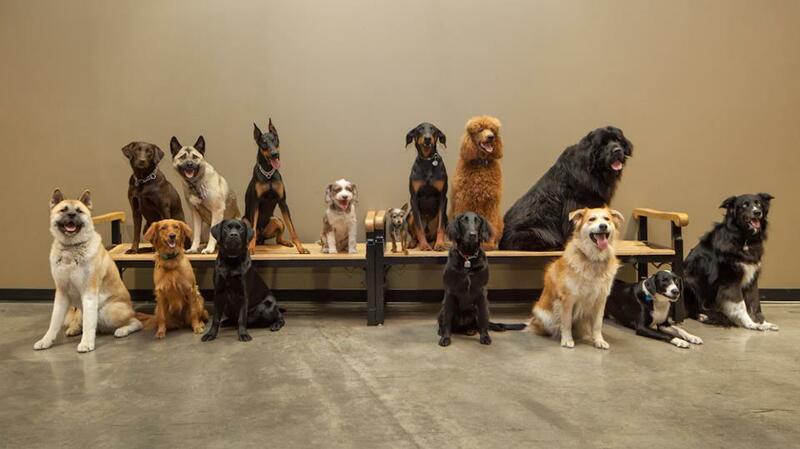 Twenty is the number of dogs currently up for adoption through the City’s Animal Services. These are stray or unclaimed dogs in need of rehoming, which the City also spays/neuters before they go out for adoption. This figure does not include the dogs that are simply impounded. Instead of a turnaround of 10 days for these dogs, based on the ones it currently lists, it looks like the average stay for an adoptable dog at Animal Services is over a month, with many having been there for over two months. Based on the 2010 report numbers, the City adopts out 9% of the dogs that end up its care, which works out to about 390 dogs per year, or about 30 per month. 86% of dogs get returned to their owners, and the remaining percent would be dogs that do not get adopted or are deemed not fit for adoption. In other words, the retail pet sales from one store are double the City’s adoptions. I do not know the daily cost to house a dog or cat at the City’s Animal Services, but these are costs that are paid out of the City’s budget, and other municipalities have released figures we can use to estimate the cost. In LA, the estimate is $428 USD per animal on an average 44 day stay, which is a total that includes medical costs, staffing and other overhead, as well as takes into account adoption fee revenue. The Butler County Humane Society in Pennsylvania estimates the daily cost to feed and house an animal is about $15. Iowa City Animal Care also estimates a cost of about $15 to feed and house an animal. Another animal shelter in Hailey, Idaho estimates the cost at $20/day to care for a cat and $25/day for a dog. The Calgary Humane Society itself lists daily cost at $15/day. So, using the $15/day figure (not including staff salaries and other overheads, extra medical costs, microchipping, spaying/neutering, vaccinations, and your complementary adoption kit and food), and knowing the average stay for a dog at Calgary Animal Services is over a month ($15 × 35 days), the average cost for a dog or cat to stay at Animal Services is at least $525 – which is obviously not fully covered by a $200 adoption fee (or $150 for a cat). This means that the City pays at least $300 for each adoptable animal in its care. 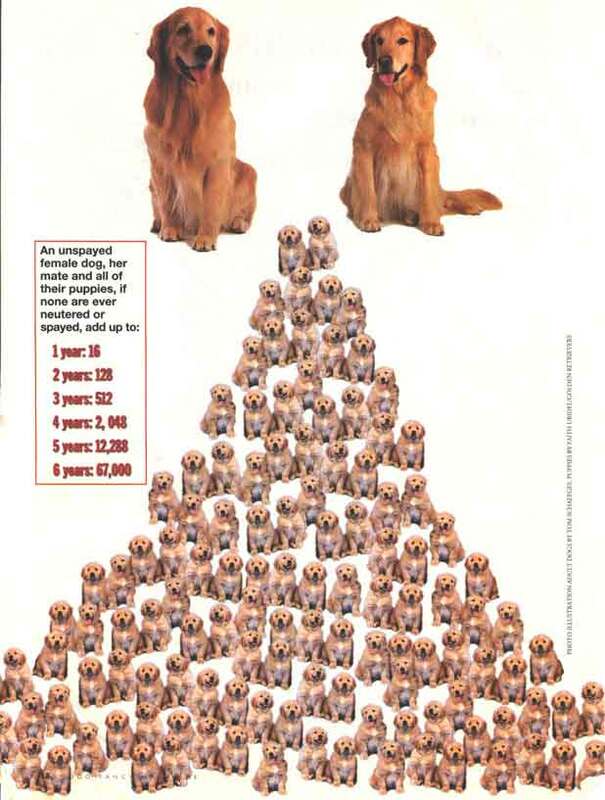 And multiply that by the 390 dogs adopted per year, that’s a minimum cost of $117,000. For the approximate 235 cats they adopt in a year (again based on the 2010 report, that’s another $82,250 (at the cost of $350 per animal, since the adoption fee is only $150). Sure, it’s an intentionally low and very rough estimate, but it works out to at least $199,250 of Calgary’s dollars directly spent per year on housing, caring for, and adopting out animals. And this figure does not include animals that are impounded, or animals that are housed and cared for but never eventually adopted or later deemed not fit for adoption. Now imagine if the retail front, which sells 720 dogs per year, switched and gave exposure to the City’s 390 adoptable dogs per year. And lets include the 235 cats, too. Not only would the animals find homes faster, be adopted out already spayed and neutered so they couldn’t contribute to overpopulation (and the intake of the City, the Calgary Humane Society, and the other dozens of local rescues), but there are indirect benefits, too: people would be more exposed to and therefore better educated about ethical pet procurement generally. But my point right now is: a retail pet sale ban would cost the City less. Now imagine the pet stores decide it’s once again financially beneficial to sell animals and reinstate the practice – if one store can stock 20 dogs at once and sell about 720 per year, how many can 8 stores sell? Sure, the courts have determined that “promoting the welfare of animals provides an intangible moral benefit to humanity in general“, but, as you can see, there’s a financial benefit to consider, too. So if concerns about unethical breeding and selling of companion animals don’t speak to you, maybe some numbers and financials will. If a pet sale ban can reduce unwanted pets and save money, what has the City got to lose? After all, if pet over population is directly costing municipalities money, why wouldn’t they look at and implement all possible solutions? It was Sunday evening. The clock read 8:00. Just as good a time as any to walk the dogs, I figured. And then I looked over at Moses. He sure was rocking the scruffy, homeless look. 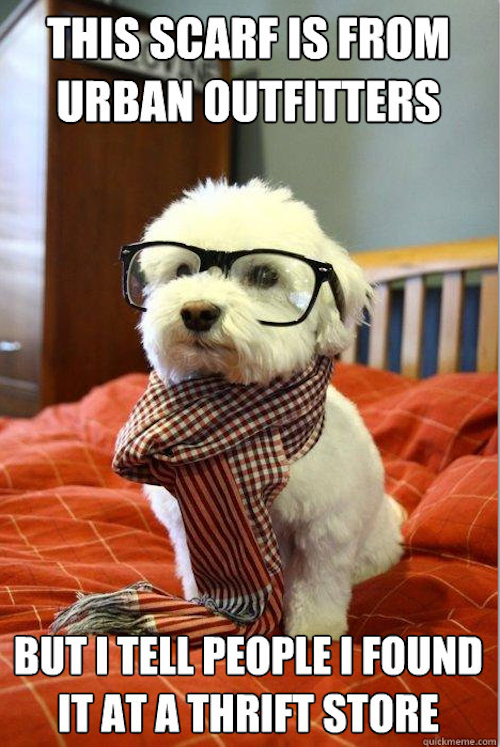 Kind of like a canine hipster. I debated adorning him with a keffiyeh from some place like American Apparel to finish off the look, but with a name like Moses, I doubted he’d appreciate it. So instead I grabbed the grooming tools, cued up my backlog of The Colbert Report, and set to work. When I finally determined I’d done enough to make him look respectable once again (or when I ran out of Colbert – the two occurrences were not unrelated), it was past 10:00. We better hit the road; after all, it was a work night. When Moses, Alma, and I left for our walk, it was still daylight, and the neighbourhood was busy. But as over an hour passed and we neared the end of our loop through the neighbourhood, it was dark. We were in the final leg of our walk, about five minutes from our front door in NW Calgary suburbs, when a coyote crossed the street ahead of us, onto our side of the road. The stage for the encounter: we were on the right-hand side, near the houses, heading up the hill to where the photo was taken from. The coyote came from the untamed wilderness on the left. This kind of sighting was not uncommon in our neighbourhood, and over the years I’ve frequently crossed paths with lone coyotes while I’m walking the dogs – especially so when walking at night. In the normal course, they keep their distance and scurry off quickly. There’s nothing remarkable about it. 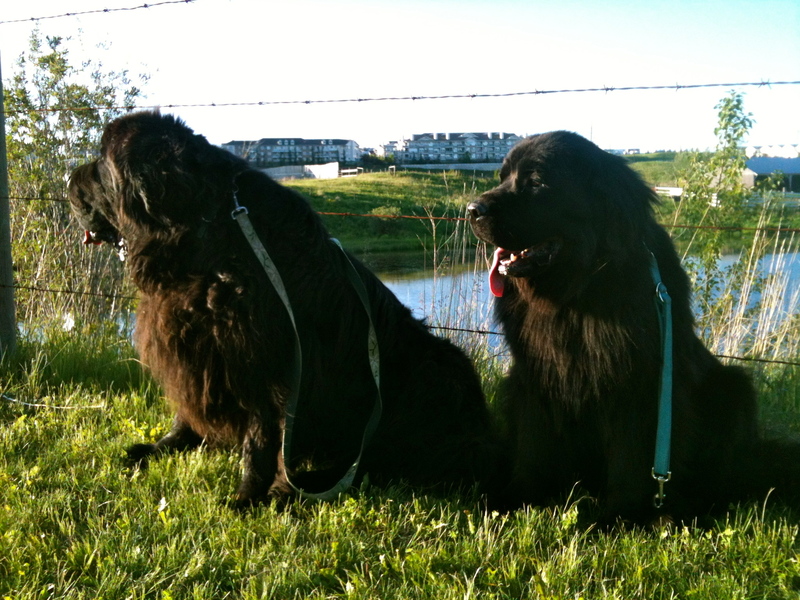 Besides, when I’m accompanied by two Newfs, I’m never worried. 180 pounds of Moses vs. a 45 pound coyote? Not likely to happen. Instead of ducking into suburbia to hunt rabbits, this particular coyote did not scurry away quickly at all. In fact, he got closer. It took me a second to realise it, but instead of crossing the road in front of us, he was actually doing circles around us, getting closer and closer each time. I figured it out about the same time as Moses and Alma did. And they took great exception to his presence. Moses dashed to the end of available leash length, which I gripped for dear life, and directed a couple of his deep, looming barks at our visitor. Alma more silently, but similarly, responded, pulling on her leash in the excitement of the escalating situation. Yet, amid the commotion and clear contention to his presence, the coyote not only continued to circle, but tightened his circumference. He stayed low to the ground and made direct eye contact the entire time, and as I reined in the dogs as close to me as I could, he continued to close in, approaching as close as just a few feet. It was unlike anything we’d ever encountered in our neighbourhood; usually the local canine aggressors are barking maltese-crosses, straining in their harnesses on the end of a retractible leash. Obviously the coyote’s brazen occupation of our route home continued to hold the attention of Moses and Alma. I did what I could to move our travelling circus slowly up the sidewalk, but those efforts were largely futile, as most of my energy was concentrated on not letting go of the leashes. Moses was held close, attached to a regular 6 foot leash, and Alma was connected to me on a hands-free leah, though I still kept a grip on her extension to maintain my own balance, lest we create a real emergency. The last thing I wanted was to let go and watch Moses to chase the coyote across the street into the dark field, where another was waiting. The coyote continued to gain ground, orbiting our little pack; steps towards him and a couple of weak shouts of “Hey! Get out of here!” from me produced no results, other than to add volume to the chaos. At one point, a car passed by on the road, which caused our antagonist to briefly retreat. I was relieved and hoped to flag down the car to honk and perhaps scare him off more, but my efforts failed, and as soon as the car disappeared around a corner, he was back and just as brazen as before. After what was likely just a couple of minutes – but felt much longer to all involved – I turned around to see a barefooted man wielding a golf club and coming to our rescue. Our shoe-less friend had been relaxing at home and heard the furor; once he spotted the source of my struggles, he dashed into action. The Good Samaritan hollered and swung the club, startling the canine provoker and causing him to retreat. Or a certain extent, at least. The coyote continued to follow and observe at an increased distance while our rescuer and his impromptu battle-ax escorted us towards home. After lamenting over the bizarre and somewhat frightening encounter we just experienced, I then emphatically thanked our liberator and Alma, Moses, and I jogged the last block home, not looking back until the front door was bolted behind us. Personality assessments suggest I am high in compliance, so my natural next course of action was to proceed with reporting the dangerous wildlife to the proper authority. I mean, what kind of ballsy coyote approaches a human and nearly 300lbs of dog?! Not to mention, just an hour prior on that very same walk and only a couple of blocks away, I’d passed two separate other people out walking dogs – but theirs were small and on long, loathsome, flexi-leashes. How differently would an encounter like that go for them? Our city’s 3-1-1 service game me the number to Fish & Wildlife and I made my report. The next morning, the officer in charge of my region followed up for a conversation and to provide advice. In June, coyotes have pups in the den that are becoming more active, so when dogs the size of mine go by, they are not prey like a small dog, cat, or rabbit would be; they are a threat. And this coyote was doing his duty of protecting his family. It’s all very Hatfields and McCoys. 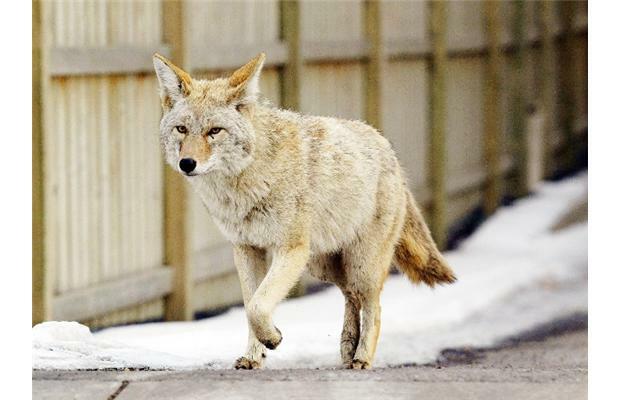 The officer explained that the coyotes’s behaviour was entirely directed at Alma and Moses, and was his way of telling them to get out of the area or there would be trouble. His female mate was waiting in the wings to add her support in protecting the litter should things escalate. Of course, little did this coyote know that the chaos that ensued was actually the least effective way to get us on the road in a timely fashion, but I now see where the communication breakdown happened. The officer’s parting words of advice were to carry a walking stick (a golf club also works), a noise maker (like an air horn), or bear spray if walking in that area at night again (if you can find any of these items in ACME brand, even better). Most important is to ensure any attempted approach of people or pets by a coyote ends with them being scared off, so repeat offences are not encouraged. And to that, of course, I add always ensure your cats are kept inside this time of year, and your dogs are on short leashes, giving you the best chance to keep them safe if something weird happens. Trust me. Weird stuff can happen. Learning from our experiences and walking in the daylight. 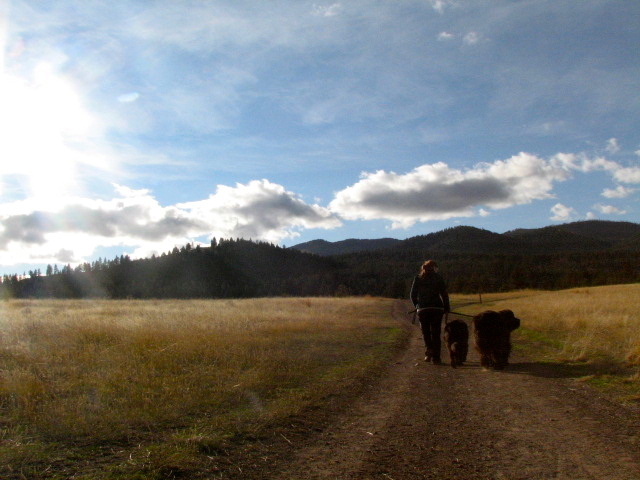 Back in the fall of 2008, Moses graduated from an awesome and intensive 10 week dog training class. 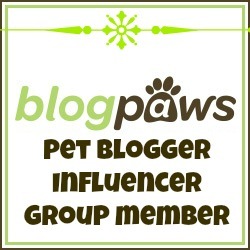 As a first-time dog owner at the time, this program totally shaped the way I see dogs and our lives with them, with focus on awareness, responsibility, and safety. This weekend, Alma graduated from the same program. 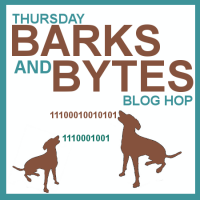 Her class wrap-up – the famous Canine Olympics – was on Saturday morning, and she sure knows when it’s crunch time, because she totally delivered and was on her best behaviour! Following in Moses’ footsteps (paw prints? ), indeed. Up against 47 competitors, she placed 4th in the stay competition – actually better than Moses did in his very first Olympic sit-stay! But I’d say the best indicators of success are the class photos – 10 weeks prior, that would not have been possible. And now that it’s over and I have no where to be three times per week… what are we going to do with all that time? 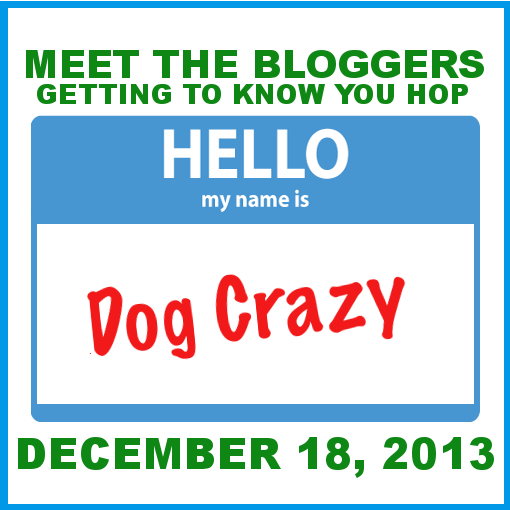 Hello, WordPress. It’s been a while.